Analysts at B&K believes, there has been vast correction witnessed in PSU stocks, and now they are just brushing up for take off. The past performance indicates a very gloomy picture, especially when it comes to Public Sector Undertakings (PSU) stocks. In fact, this index has been under performing since 2004. Thereby, this brings the attention on whether a PSU stock is good appetite on exchanges. Data compiled by B&K Securities reveal that, between 2004 - 2008, PSUs index under performed the Nifty 50 by 35%, this negative mark was just the beginning of this index. 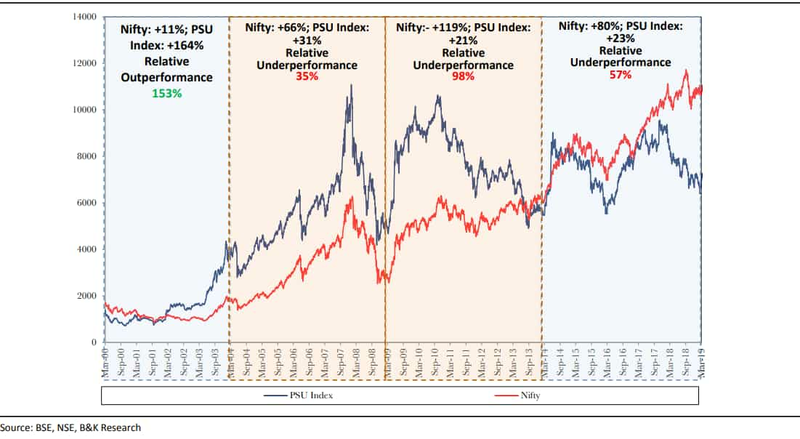 BSE PSU index further under performed by 98% compared to Nifty between 2009 - 2013, while between 2014 - till date in March 2019, this index has now under performed by 57% the 51-scrip index. However, analysts at B&K believe that there has been vast correction witnessed in PSU stocks, and now they are just brushing up for take off. Hence, even if you are planning to buy a PSU stock, then here’s a list of six state-owned companies that are worth adding in your kitty. Thereby, these analysts B&K in their research note have listed out six PSU stocks to buy. Target price for this company is set at Rs 110. Concor to have accelerated earnings of over 20% over FY19-23 ( versus over 10% in FY16 - 19), leveraging government’s vision of reducing logistics cost (rail/coastal cheaper than road), because firstly the company’s lead (average distance over which the cargo moves) decline is arrested and double stacking further ramps up in FY20, secondly dedicated freight corridor (DFC) connects Gujarat-based ports in 2HFY20 which accounts for 50% of rail traffic, and finally eventually connect JNPT - the gateway container port by FY22. Target price of Rs 660 is set on the company. 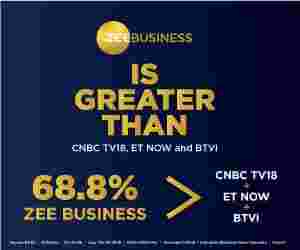 The company is seen to deliver double-digit utility earnings growth in FY20 and a double digit overall earnings growth in FY21. Gail’s transmission segment would witness traction as one of the key pipeline networks HVJ-DVPL is likely to set for tariff revision. This tariff revision should correct the anomaly and improve return profile. Target price of Rs 410 is set. This small Gujarat-based PSU is boosting indigenous production of industrial chemicals, this will raise overall profitability as well. GSFC is reducing dependence on fertiliser segment, by investing heavily into industrial section which accounts 45% of EBIT. Margins and RoCE are higher in chemicals business as compared to fertiliser segment. Till 2020, GSFC plains to invest Rs 20 billion in capex of which 50% would be in industrial segment. Once these capacities are commissioned, the chemical business EBIT share would cross 60%, thereby calling for higher multiple. Target price of Rs 160 is set on the company’s share. HPCL is not monetising national resources and hence is less susceptible to subsidy burden unlike upstream marketing network which remains the key moat. It’s stock price is currently factoring in a 50% discount to pred-deregulated HSD & MS marketing margins. Going forward, the RoCE would be significantly higher at 11.6% in FY18-22 versus historical average of 9.3%. The dividend yield remains attractive at over 6%. For your information, it is the only refining and marketing company with no direct government stake, hence is insulated from the technical overhang of government stake sale. Target price of Rs 350 is set on HPCL’s share price. In B&K’s view, it is the best bank to play the PSU banks’ recovery story. Expect gross NPA to reduce from 10.9% (FY18) to 6.3% by FY20. Incremental slippages should moderate sharply, while SBI has strong pipeline of resolution cases, which along with heavy provision coverage ratio (PCR) should lead to sharp reduction in credit costs. NIM should also get a boost by rising profitable growth, improving NPA recoveries and moderating interest reversals. Target price of Rs 350 is set on SBI’s share price. Hence, if you are planning to have an appetite for equities, then the above mentioned PSUs can be your next investment resort.